Jonathan W. Whitney leads the SsAM Drumming Circle and coordinates the Sacred Jazz program at SsAM. He is a passionate musician, inspiring educator, and a tireless advocate for music in all forms. 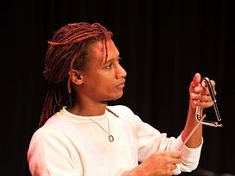 As a composer and arranger, Jonathan has written music for marching percussion ensembles, jazz bands, pit ensembles, orchestra and wind ensemble. He holds a B.M. in Music Education from the University of Delaware and a M.M. in Jazz Studies from the University of the Arts. Delaware ChoralArts (formerly known as the Delaware Valley Chorale) is a multifaceted organization that serves the greater Wilmington area by enriching the community through excellent and inspiring performances of great choral literature; supporting its talented and dedicated membership with professional skill and leadership; and nurturing the art of choral music through scholarships, commissions and showcases. SsAM’s Director of Music, David Christopher, also serves as the Music Director of Delaware ChoralArts. 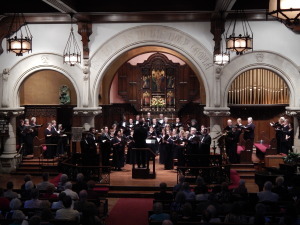 In addition to rehearsing and presenting most concerts at SsAM, As an Artistic Collaborative Partner with SsAM, DCA frequently collaborates with the SsAM congregation to bring guest choral groups to the Wilmington area, present a Spirituals Concert each season, and to offer musicianship training classes at the church for singers from the community. For more information about Delaware ChoralArts, please visit their website at www.delawarechoralarts.org.